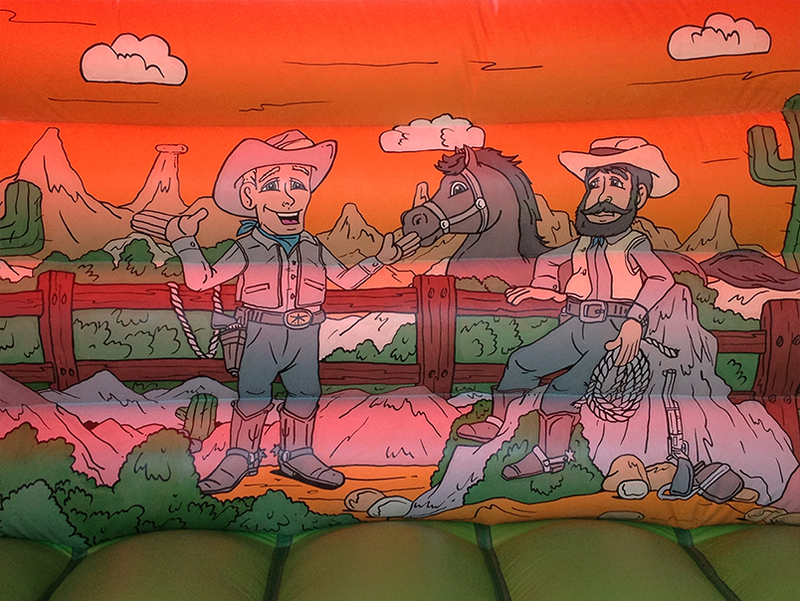 All the fun of the wild west on this bouncy castle. Comes with built in shower cover. Also a perfect addition if hiring the Rodeo Bull. 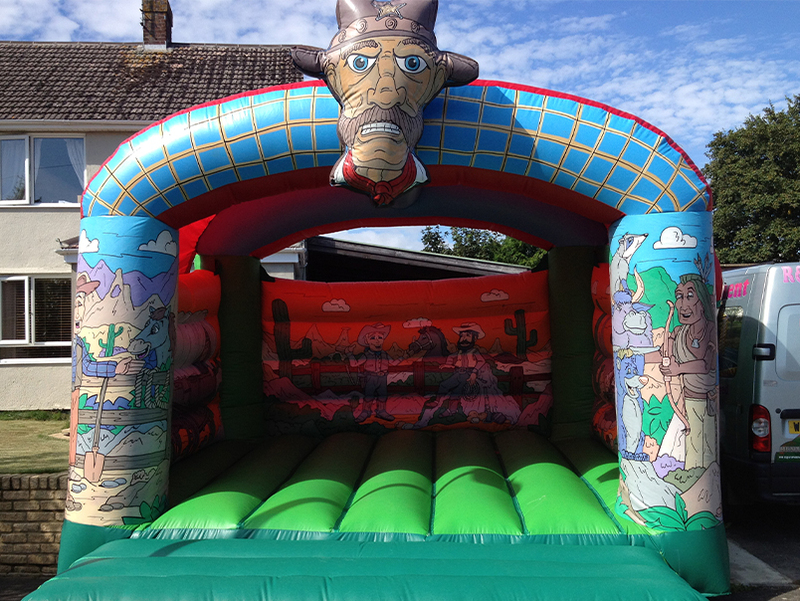 Check out our other western themed attractions.